It's been a sad week, so look at these PUPPERS!!! 1. This week, a calico kitter proclaimed this lookalike dappled doggo her mother!!! 2. The Watermelon Kween™ made headlines with her soft monches! 3. And so did Kato, the big lazy white floof who tried his best but still had to be helped down a mountain by firefighters!!! 4. JOSEPHINE GOT ALL OF THE BIRTHDAY WISHES ON HER BIG DAY!!!!!!!!!!!!!!!!!! 7. This sweet mama said NO THANK YOU TO THE RED MONCHES!!!!!!!!!! 8. She happ because doggy school didn't leave her in doggy debt!!!!!!!!! 9. 10/10 would refill his sippy bowl and chat with him by the water cooler!!! 10. 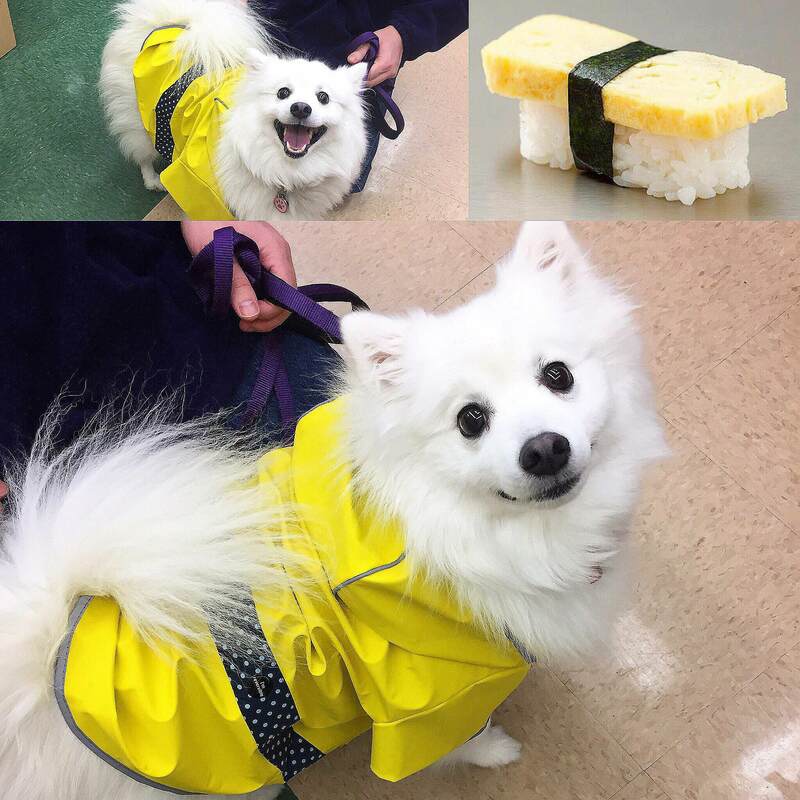 This goooooooob marshmallow beeeeb unintentionally rocked some sushi cosplay!!!!!! 11. BE STILL, MY HEART!!!!!!!! 12. Thirsty boofer do a drip drop chomp chomp!!!!!! 14. Life advice: Get you someone who looks at you the way this good boye looks at you.